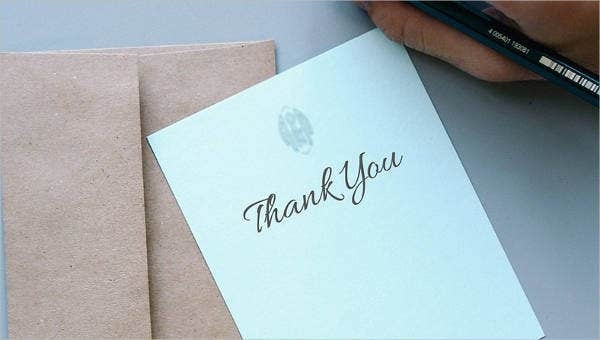 When one wants to express their gratitude to someone and can’t say it verbally—maybe because they are shy, far away, or simply they don’t have the courage to say it—a Thank You Letter is the answer. This is not just to show that you are thankful but also to tell him or her your appreciation. 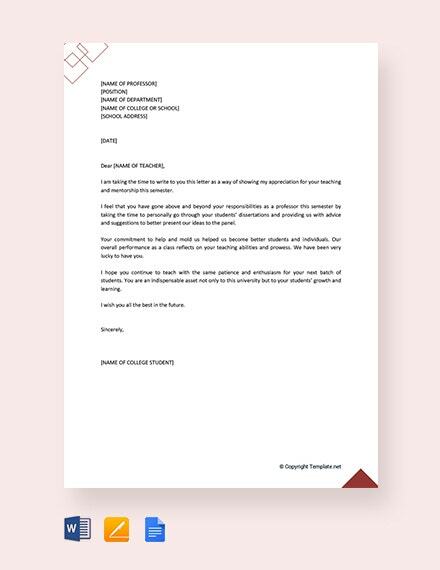 For those who wants to express their thanks and gratitude to their teachers, especially students, this page is perfect for you, though what we offer you here should not be limited to teachers alone. 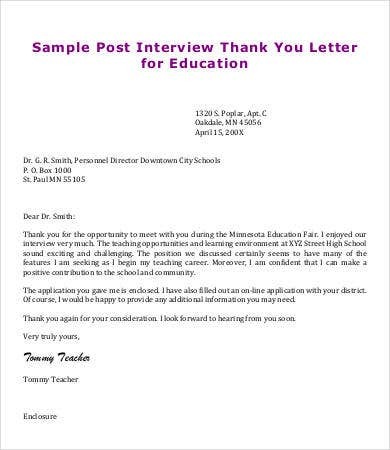 Enjoy our 9 sample teacher thank-you letters. 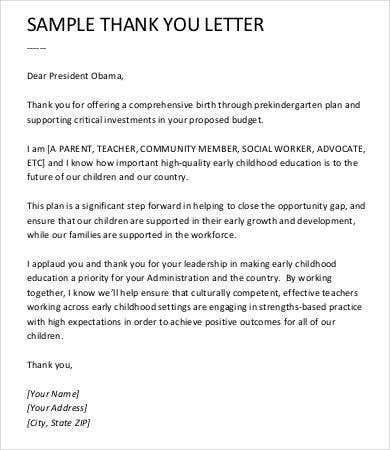 Teachers, mentors, advisers, or whatever you call them, we owe our future to them. These people are the ones who taught us so many things in school and in life as well. They are our modern-day heroes. Why? 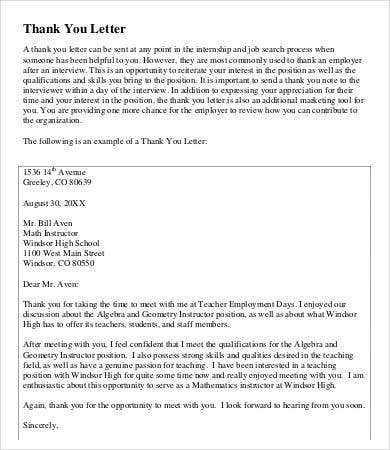 Below are some reason we believe why teachers should be considered heroes. They don’t just sit there and watch. Most of the time they usually stand, walk, and talk, helping out their students. Their day starts long way enough. It even starts right before most of the students are still asleep. They don’t just teach their subject alone, they also explain various things! Ask them anything, everything under the sun, they will still answer you. Their means of living is working in front of the most tenacious audiences in the world. Their patience is surely tested all through the day. Their patience often described as the patience of a saint. Some even use their own money for school supplies for students to use. They can do a lot of things—cooking while making grades at the same time. Now talking about multitasking. For them, the best part of their work is seeing their students learn. Though not all teachers are the same, their tasks are never easy. 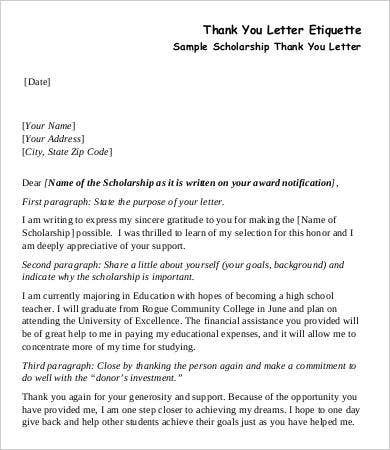 It really warms their hearts seeing students giving them Thank You Letters to Teacher or Thank You Letters To Mentor. 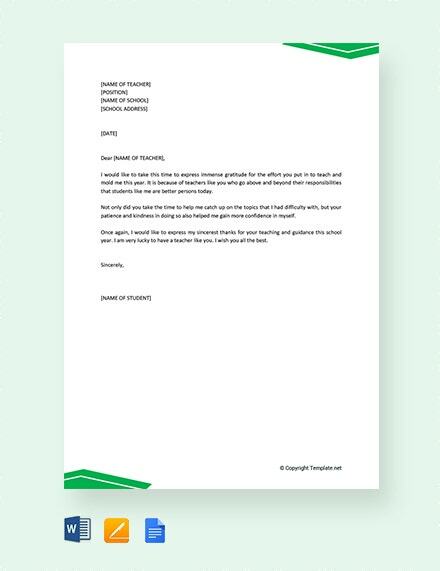 If you are that someone who is looking for a letter template to thank your teacher, we’ve got you covered. We know there are a lot of things to say, yet some of us are not sure if we have the right choice of words. 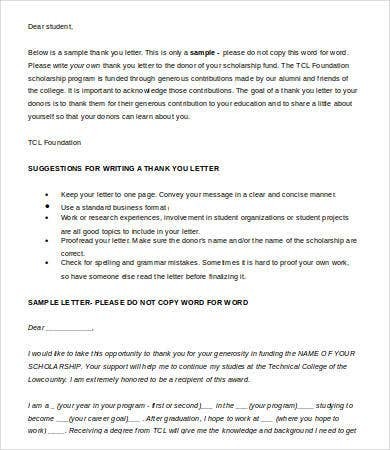 These 9 sample teacher thank-you letters are here to to help you. 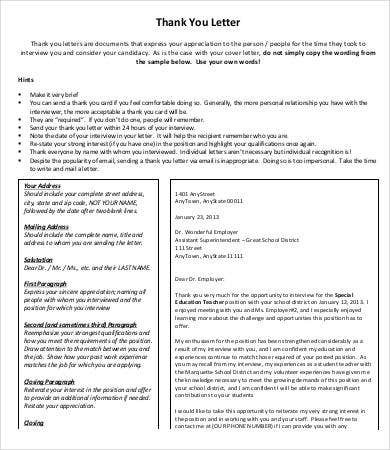 Don’t stress yourself out and take advantage of these templates. They are all very realistic and precise. 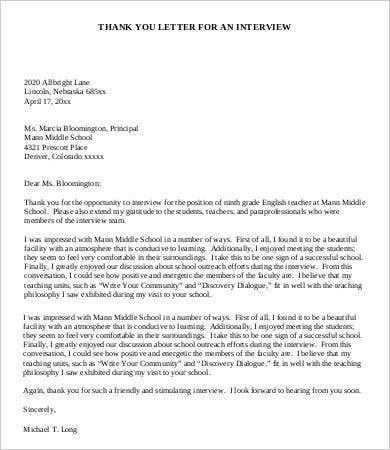 It gives out the main point of the letter directly. 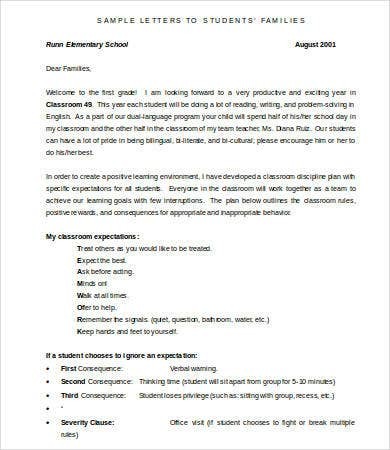 From these selections, choose which one suits you best—something that is more appealing and heartwarming, something that your teacher will surely appreciate and keep. 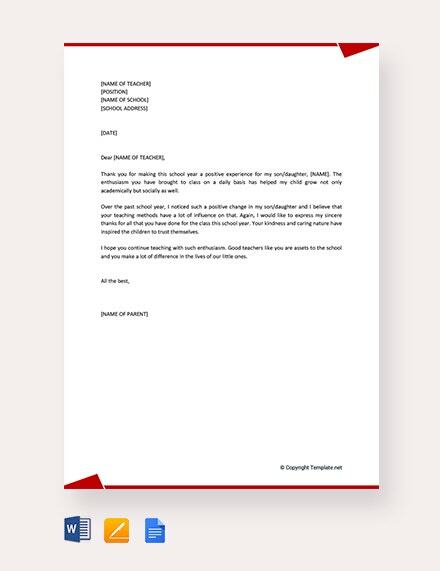 Our templates come in PDF and DOC formats, and they are all highly modifiable; you can edit them per your preference. You can also download them easily straight to your laptop or PC anytime and anywhere. Once done, you could easily edit them and then print. 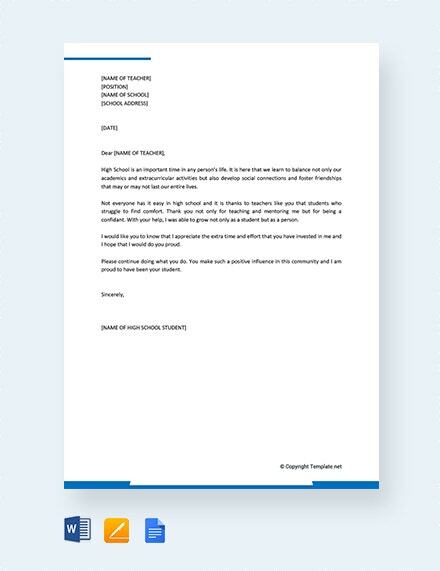 Not only were we able to save you from all time-consuming effort, you now have the perfect thank-you letter for your teachers. Also, this is not limited to teachers alone. 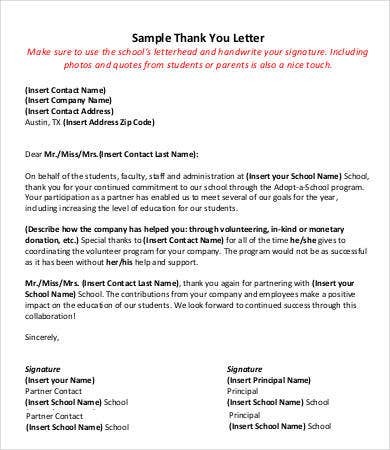 You can also draw inspiration from these templates in sending a thank-you letter to your parents, loved ones, or friends. Want to check for other types of letters? 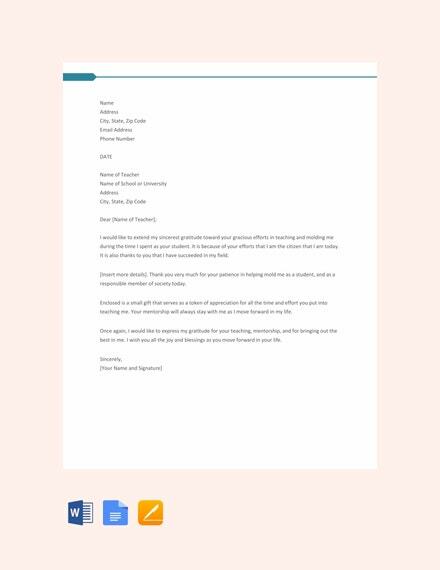 You might want to see our collection of Volunteer Thank You Letters.